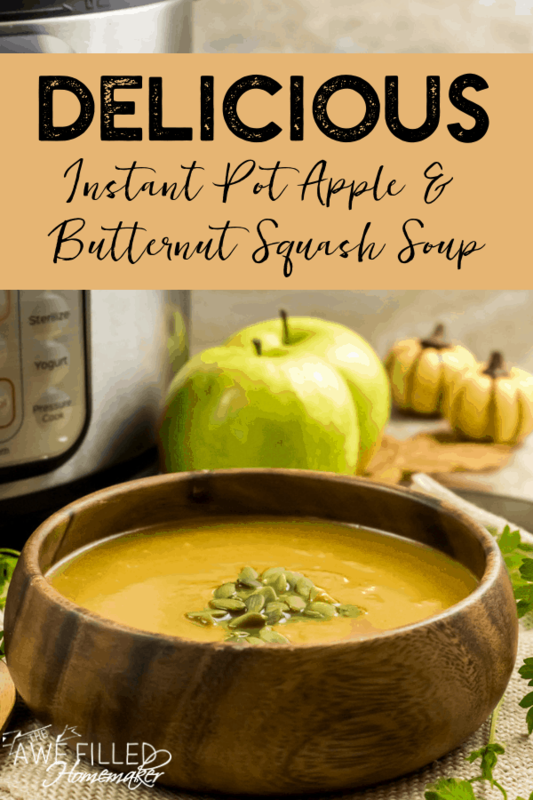 Instant Pot Apple and Butternut Squash Soup is the perfect soup to warm you up on a chilly fall day. 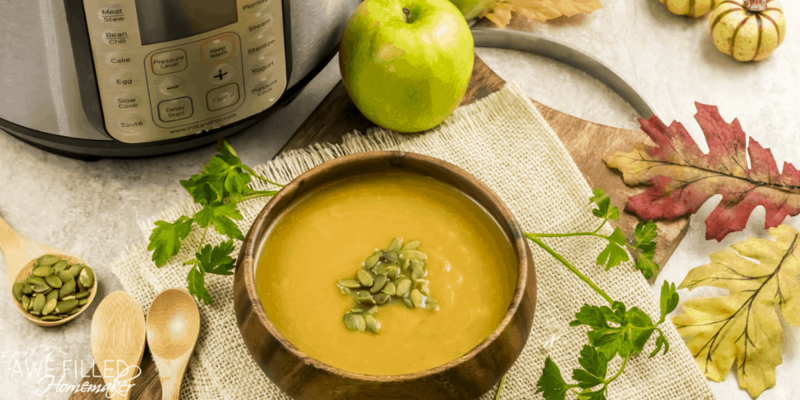 The silky and creamy butternut squash base soup blended with a hint of sweetness from the apples will become an instant family favorite! 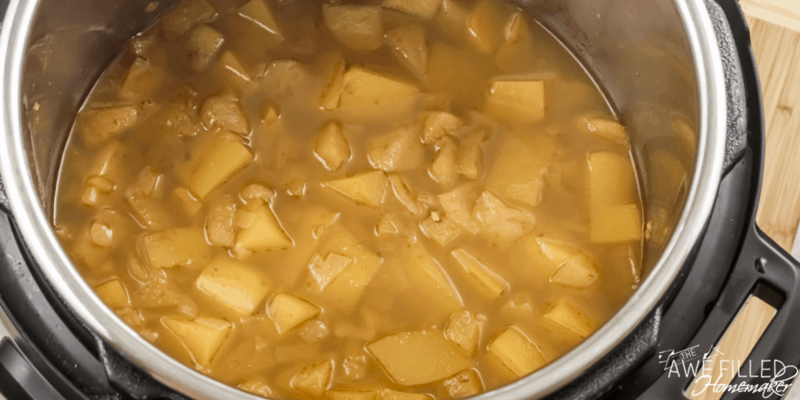 Butternut squash and Granny Smith apples are a perfect pair when it comes to flavors. 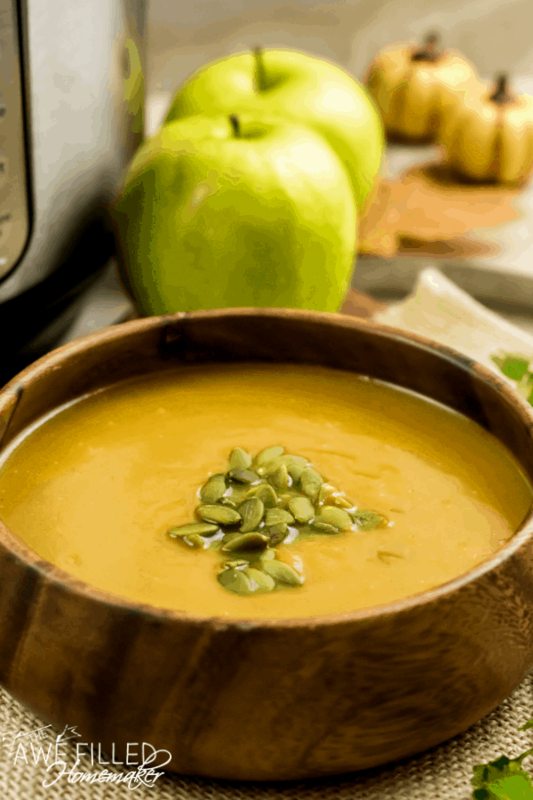 The tartness from the green apple compliments the rich butternut squash flavor. The apples are a natural sweetener, which mean no sugar needs to be added. 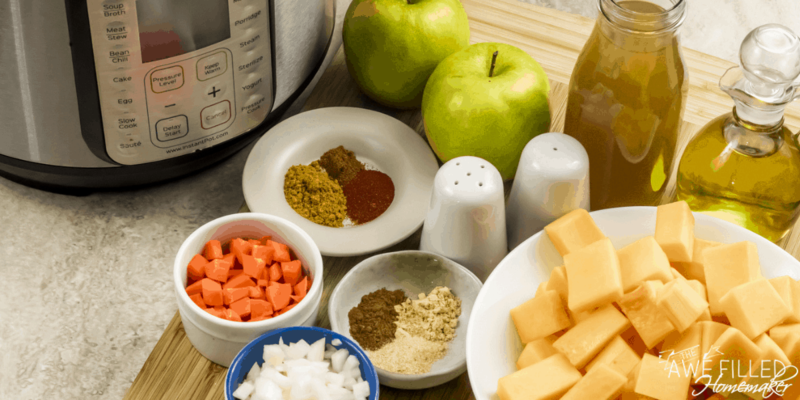 The Instant Pot helps lock in all the flavors from the spices along with the squash and apples. When these ingredients are blended down to a creamy base, a rich and flavorful soup that tastes like it has been marinating all day long is left for the taking. If you are not eating butternut squash in your diet, you should be. 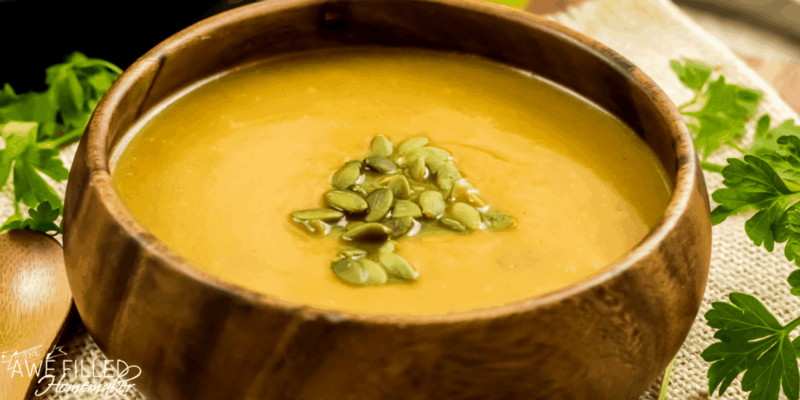 This hearty squash is full of beneficial properties to help give your body a boost. Butternut squash is low in fat, packed with fiber, and lots of vitamins and essential minerals to give your body an immunity boost. 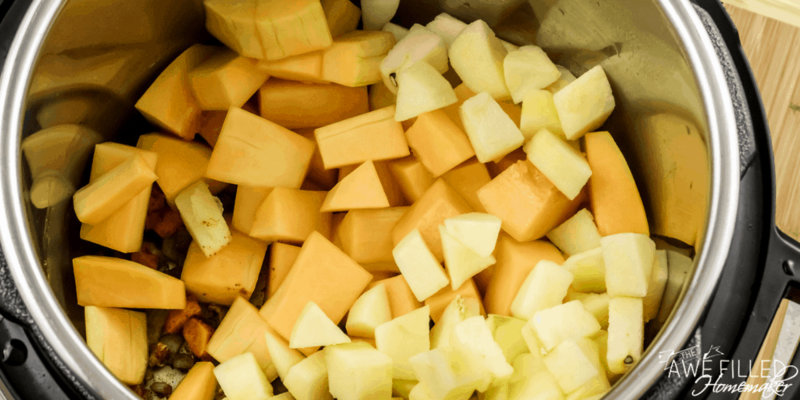 Let me share a handful of ways this squash could benefit you and your body. When you have type 1 diabetes and eat a fiber-rich diet, it can help your blood sugar levels. For type 2 diabetes, fiber can help to improve insulin levels, improve blood sugar and lipids. Squash is loaded with fiber which is essential for our digestive tract. Butternut squash can help regulate your body, reduce any inflammation and give your immunity a boost. Another nice perk is this hearty squash is full of vitamins A and C. Both are great for our bodies in multiple ways. From giving your hair and skin a nice healthy appearance to boosting your immunity. Vitamin C is excellent for maintaining collagen to keep your skin and hair looking flawless. If you are feeling a little under the weather, butternut squash is a great option. 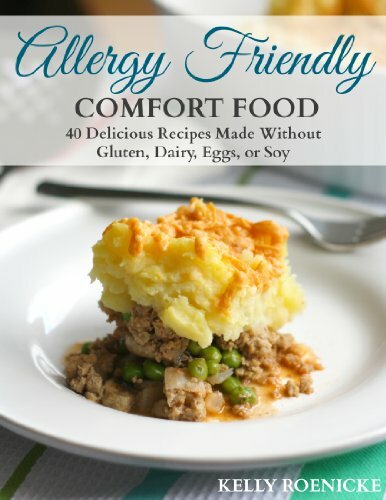 It is packed full of nutrients that can help fight and ward off sickness. The spices used in this soup gives an added amount of immunity-boosting properties. We make this soup a lot in the fall and winter months because of all the nutritious ingredients that comprise it. 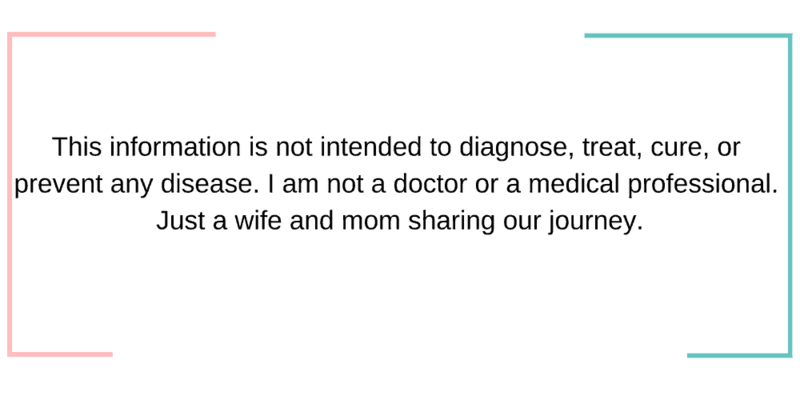 It is no secret in the winter months when cold and flu bugs are hitting hard, most are doing what they can to prevent the sickness. Having a healthy butternut squash soup to sip on will help give our bodies a little boost if we are lacking. Not getting adequate sleep or stress can alone weaken our immunity. Here are a few of the benefits from the spices used in the soup. Curry | Great for battling bacteria, healthy bones, helping with digestion. Cayenne | Relieves pain, can reduce hunger, lowers blood pressure, and more. Ginger | Reduces pain and stiffness, relieves nausea and upset stomach, has anti-inflammatory properties, etc. Garlic | Wards off sickness improves cholesterol levels, reduces blood pressure, and so much more. 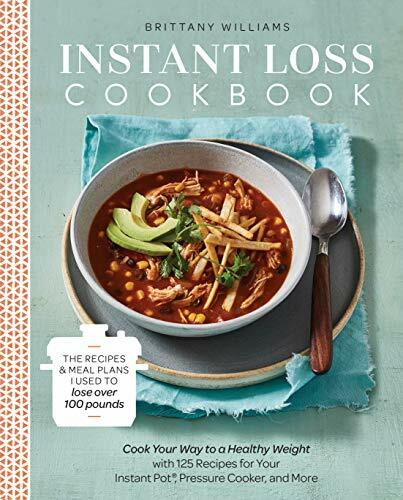 As you can see, all the ingredients come together to create a savory and delicious soup that offers a lot of nutrients to protect and fuel our bodies. 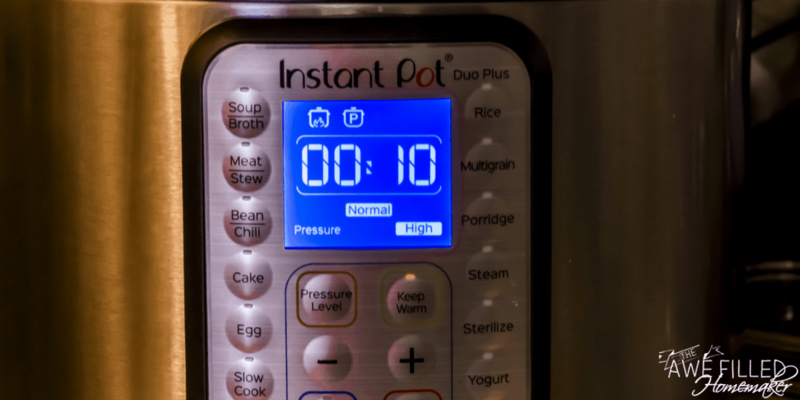 1) Turn the Instant Pot on the ‘Sauté’ mode. Let the Pot heat up for 2 to 3 minutes or until the display shows ‘HOT’. 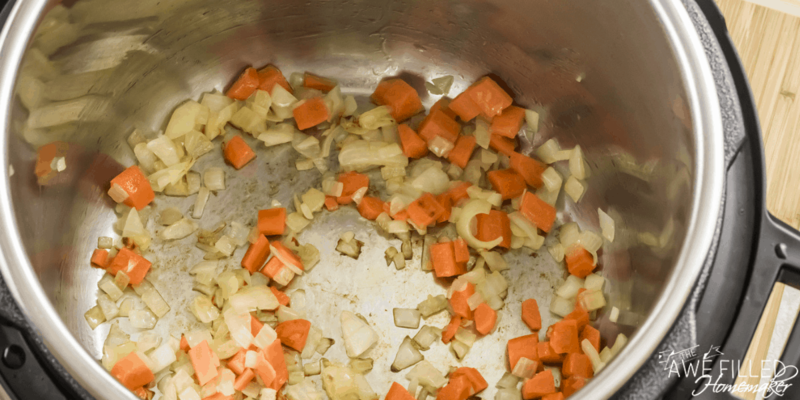 2) Add the oil and add the chopped onions and carrot. Let it sauté for 2 minutes or until the onion looks translucent. 3) Add the spices – curry powder, paprika, cayenne pepper, ginger, garlic and cinnamon. Mix it well. 4) Add the butternut squash and the apples. Mix again to coat the squash and the apple with spices. 5) Add the vegetable broth along with salt and pepper. 7) Select the “Pressure Cook” mode. Adjust the time, with the “- / +” to 10 minutes. 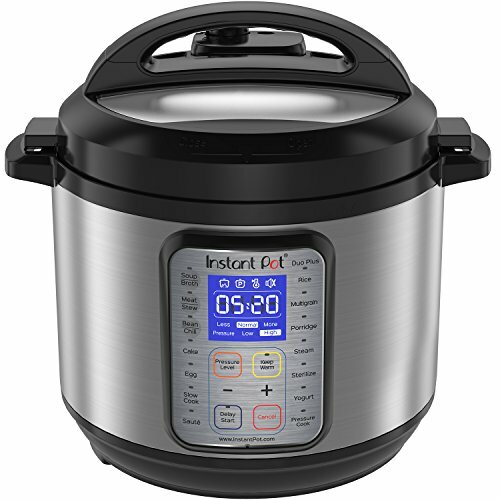 8) When Instant Pot beeps, let the pressure release the natural way for 10 minutes and then small spoon that comes with the instant pot, turn the pressure valve to “Venting” position to do the quick release. 10) Serve immediately with a fistful of pumpkin seed for crunch and some texture. 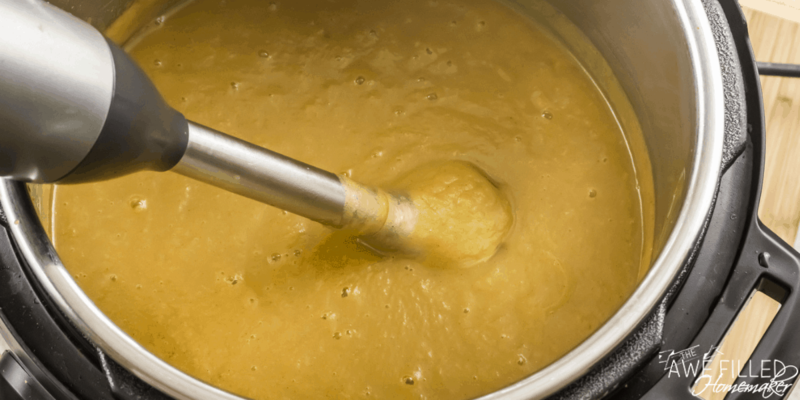 If the soup is too thick, add some vegetable broth to thin it down. And if it is too thin, turn the instant pot back on the ‘Sauté’ mode and some of the liquid evaporate. Remember to keep stirring the pot to avoid scorching at the bottom. 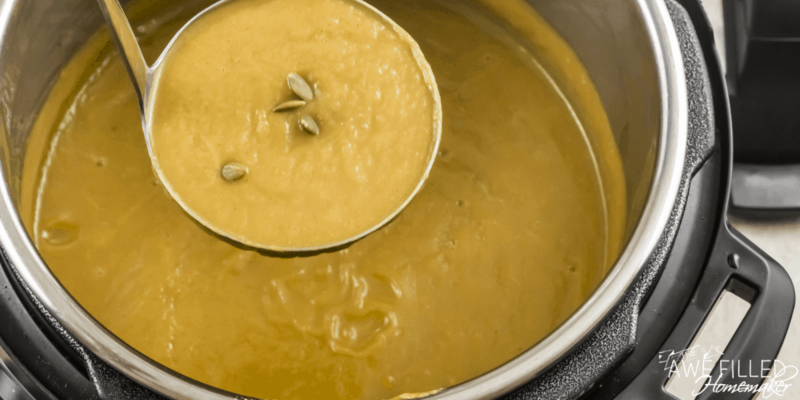 The silky and creamy butternut squash base soup blended with a hint of sweetness from the apples will become an instant family favorite! 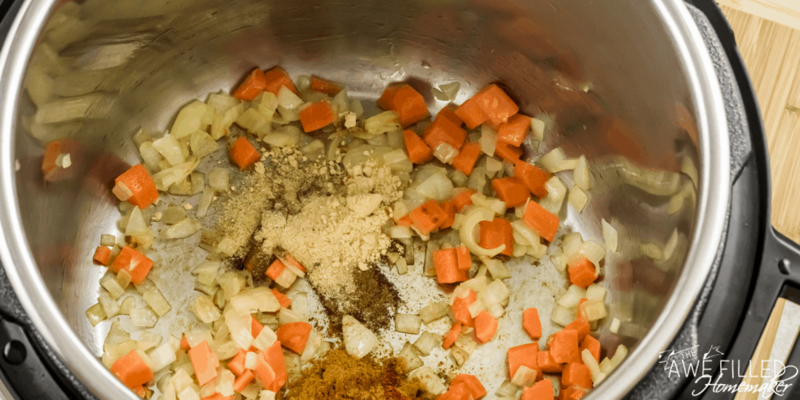 Add the oil and add the chopped onions and carrot. Let it sauté for 2 minutes or until the onion looks translucent. Add the spices – curry powder, paprika, cayenne pepper, ginger, garlic and cinnamon. Mix it well. Add the butternut squash and the apples. Mix again to coat the squash and the apple with spices. Add the vegetable broth along with salt and pepper. Select the “Pressure Cook” mode. Adjust the time, with the “- / +” to 10 minutes. 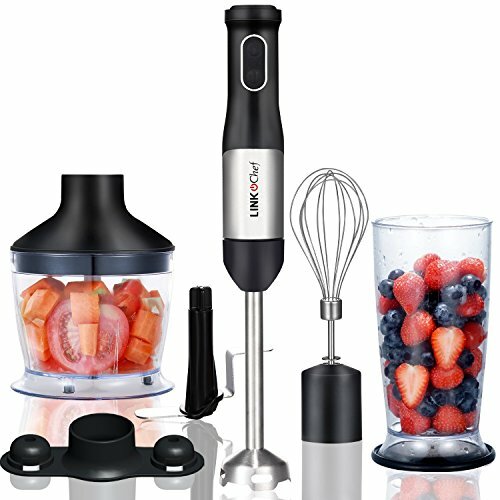 Blend the soup either by using an immersion blender or regular blender. If using a regular blender, be careful as the content will be very hot. Serve immediately with a fistful of pumpkin seed for crunch and some texture.